Last May I joined the club buying a Velvet Red C4, my forever car. Would have preferred a black / grey rear drive car, but searched a while and these were either hen's teeth or silly money. With a new house and baby plus a then 3 year old, nothing happened to the car last year other than servicing and a little driving. Plus the rally special that was the Goodwood Revival car park - managed to get mud on the inside of the rear window playing in the field. The car is pretty tidy. A few bits to tidy on the interior – horrible head unit, saggy roof lining and missing left hand side quarter window door felt. The paint isn’t perfect, slight bubbling at the corner of the front and rear window. The car has been resprayed, but not a glass out, bumpers off job as there’s evidence of overspray on the bumper rubbers. The biggest bugbear of mine was the non-matching tyres and aging suspension. I like my fun cars pointy and just didn’t have massive faith in the grip levels – though this could have been lack of mileage as much as anything. This year I got the team at Parr to replace the suspension with Bilstein PSS10’s. I requested a ride height more inline with that of the RS, not a massive fan to tyres tucked up in arches. Sorry to those that are, but I’m old (43) and not my cup of tea on a road car. I also requested that through the geo setup they dial out as much of the understeer as possible. The wheels were refurbed with one replaced and new PS2’s fitted all round. While I still haven’t spent enough time driving to really get to grips with the car, Parr’s fast road setup is noticeably better. Not happy with the peddle feel or initial bite. Parr replaced the fluids while the car was with them, so now thinking pads. I had a 996 back in the day and that always felt wooden when cold, but had plenty of feel when the pads were warm. What pads do you guys use? Is what I’m experiencing a “feature” of the air cooled cars? The car pulls up ok, so assuming from that that the callipers aren’t super tired and in need of a refurb. Though probably not the worst idea on car approaching 30. The car has a working sunroof (love the bizarre switch placement on these cars) and no aircon. Kinda like the roof open when summer driving, but prefer the aesthetics of non-sunroof cars. Easier to clean too. So the question is, what are the options for sunroof deletions? I’ve seen folks weld a panel in, but no changes to the internal side. What are the pro’s and con’s of this? Would I still need a sunroof roof lining for example? Also want the indicators on the wings removed. Assuming a simple resistor can replace the bulb or something? Is this work blooming expensive or something that I can slip in while having the bubbling window rust addressed? Appreciate the “tiny bubble patches” can be a can of expensive worms on their own. Lastly…. Do I bite the bullet with a colour change or do I need to secure a second mortgage first? Have any of you guys trodden this path and able to share approximate costs? G pipe is also on the want list, but want to hear one first hand before doing this I think. The interior needs a refresh too. Current thinking is either leather or alcantara dash, centre console, door tops and A pillars. Again, imagine this is a serious kick to the wallet so will have to wait until the house is sorted. Everything works and nothing cracked or split, just aesthetically not how I’d like it. I’ve not intention of ever selling the car, so not in a huge rush. I found the brakes OK on my 964 but not sure what pads I was running. some upgrade the calipers to the 993 'big reds' but this is pricey. The rust you describe sounds atypical and common. Most painters whop know these cars will offer 'menu pricing' to sort it but beware the iceberg (and what lies beneath) effect Also take a look behind the shark fins this is another area. I'd advise against a colour change as this to do right will be a lot of dough plus it will put buyers off come resale. If you intend keeping it forever then why not but expect a price of +£10k If the first respray was a shiote job and they haven't dealt with the corrosion then it will come back! Once you've done this it'll highlight the ageing reflector/rear lights so that's north of £500 to budget. Alcantara can look good and I've seen some dashes covered in it. I'd stick with leather so close to original and get it done by a good trimmer. Seats will probably need a refresh and these are easy to do although from experience they wear very very well. Will defo get the fins off and inspected when it goes in - thanks for the tip. Big reds are strong money. I'm going to research the brakes as wondering whether anyone has fitted 996TT calipers or something with a bracket. As these are newer and more common shoudl be a cheaper option. Wheel clearance on 17" rims may prevent this obviously. Just had a quick butchers at Design 911 for G pipes, now only £90. I'm a spanner with a spanner, is this a DIY achievable job? I know what you mean regarding colour change. That said, whenever I see a Riviera Blue GT3 I come over all peculiar. Not sure if this is the colour, the car or my menoPorsche kicking in. I'm also with you on the leather. I look at what Paul and others have achieved and think leather. Then I look a alcantara and just want to stroke it. The leather will better complement a Prototipo too. Love 90’s cars. Nearly bought one when I was 20, test drove a coule and bought an RS Turbo instead. Was actually looking for an Oak green mk2 Golf Gti, but the 205 was an itch I’d never scratched before (had a Golf before the RS). Lovely car and quite a unique colour. Most of the mods you want to achieve are in my 'Red Baron' thread. I appreciate the pictures are not there but there is a google software patch that lets you see everything. Lots of pics of rust where you describe you have it. Also all the info you will ever need about brake upgrades. I went big blacks of a 928S4. Slightly smaller than big reds, but not a lot in it unless you're racing. I also went 993 master cylinder and pedal assembly. This set up I can assure you is amazing! I also removed the side indicators and modified the front side fake ones in the PU to work. A lot safer out on the streets. Sunroof delete....Well there are carbon bond in panels or I have seen the factory roof welded in. I would suggest removing all the inside metal work and motor as its heavy and reduces head height. If you're reprinting then Windows would be out so a new headliner could go in. 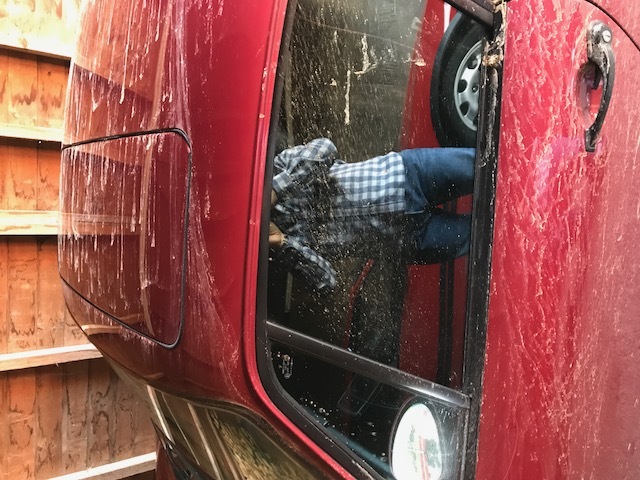 If that is the thames in that pic and so you are near teddington, my 964 has a cup pipe and the bypass if you want to compare. Thanks for the advice. Big blacks ~£1k a side. Will add this to the list. Yes, really in two minds about a colour swap for that very reason. I’ll know that it’s not been a full strip and change and sure it would drive me nutty. Thanks for the info about the roof. Will google pics of this so I have more of an idea what’s up there. The photo was taken by the Thames. I bought the car from Classic Chrome in Mortlake (I think), it’s their photo that i’ve ‘borrowed’. I love about 10 miles above Brighton, but would love to hear a car with G and Cup pipe options. Lovely 964 you have, I remember seeing it for sale at Classic Chrome and thinking what a great colour it was. I would keep it in the lovely Velvet Red. You have began by changing one of the most important parts in the suspension and geo, its such an improvement over stock and bringing the ride height down to RS spec makes for a wonderful look. I would certainly recommend the G pipe, did it on mine last year and it gives the car a nice growl with it not being to intrusive, well worth it for the price. Rusting issues are a real pain and can get very expensive very quickly. My ones had the front tub re-sealed and also the front chassis legs so I would recommend keeping an eye on those areas. I thought it was the mortlake car, i had a test drive in that i think early 2017. It was the first 964 i drove. It had had recent engine rebuild in chelsea if i remember but had a lot of oil leaking when i looked at it. My mobile number is 07956456135 if you are in the area text me if you want to take a look. Check you messages as I have sent you a PM regarding G-Pipe. Yes, same car. I had it inspected by Peter Morgan’s company. They found the oil leak too. Had it fixed before buying. It’s since been checked out by Precision Porsche (not far from me) when it was MOT’d and serviced. All good. I also got Parr to give it a general omce over too. They found an issue with and replaced the four wheel drive cylinder as leaking fluid, they also replaced the master cylinder when replacing the brake fluid. Other than the spoiler playing up, it’s been reliable. Crikey. Dint know apthe interior was that much. Have you found anyone good to do it? - Personally i wouldn't do a colour change unless you are keeping it for a long time and hate that colour. To do it properly needs the entire car stripping. - Brakes - I have "Hawk" pads in my C4 and i drive keenly, they're a semi track pad without the noise and they stop very well. Certainly plenty enough power. They were originally sourced through eBay, iirc I think they're american. I do also have a full set of 993 callipers and fancy discs in stock but just haven't felt it necessary to bother fitting them yet. A friend has this set up on his car and the stopping power is insane. This is without the 993 master cylinder. In my opinion you need to run semi slicks to really benefit / justify that upgrade. - Interior costs vary dependant upon what you want doing. The most recommended person will be Dave @ Southbound who will have a year + waiting list and at the top end numbers wise. I am having my front seats and a few other bits done currently by Linas @ LS Designs and they're looking very good. Personally i think you'd struggle to spend £6-8k, more like £4-5k for everything which invariably you won't need. - G pipe. Personally I did not like the sound, more like a subaru sound than an air cooled to me so i settled on a cup pipe which removes the primary silencer and sounds right to me - I also have a sport cat. The G pipe is cheap mind and certainly sounds raucous!. Both are an easy change if you've some spanners. As to the C4 platform, I initially really didn't like it but once it's tightened up, geo changed and new suspension it then starts to shine. And in the wet it's a very impressive Tool. Thank you. Pretty much parked the idea of a colour change. Me wanting a riviera blue may just be the start of my midlife crisis... Will have to sell the children and save for a GT3 to tick that box. I’m still considering the sunroof and wind indicators delete though. Thanks for the pad info. Will defo have a look into these. They seem to have a few fast road options now. Found a thread on PistonHeads about Design LS - looks good work. Thanks for the tip. You’ll have to post pics of the work you’re hav8ng done by these guys. ChrisBChips is kindly sorting me out a G pipe. I’ve not heard eithe the G or cup pipe combo, sure both are an improvement over standard. I do like the idea of removing weight off the rear most part of the car, but excitied to try the G setup. I know you already dismissed colour change but for the record here is my experience. I bought my 964 with the idea of colour change to maritime blue, but once I got into the nitty gritty of doing a proper bare chassis job and costs involved then I decided to stay with original colour, expect to pay over 20k for something like this. Windows our respray is not cheap either, indicator clusters, reflector & old rubber trim doesn't look so good against new paint and then there is also the small fixings etc so be prepared to spend over 2k for these parts. 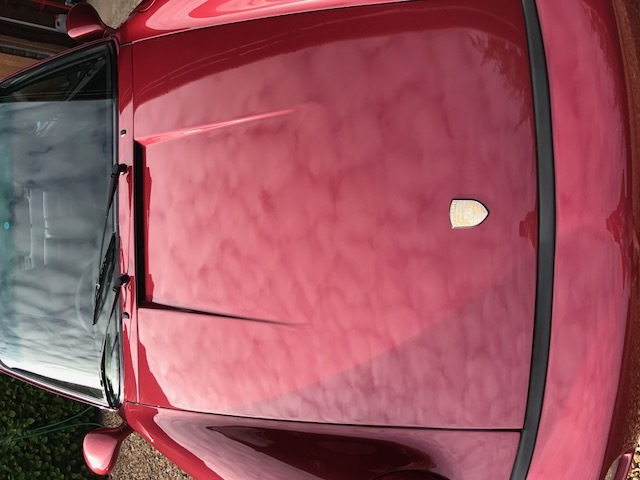 You have several options for roof, best & most expensive is new no sunroof skin from Porsche. Used to be 1500 then bumped up to 3000 and even then Porsche didn't have any in stock. Next option is to find an old roof, at the time I did find one, you basically fit just the top skin and not the pillars as is the case with a new roof. Other option is a new metal insert which is probably the cheapest way, some say the bonding point can be stressed with time, specially if not done right or subjected to track use - you really want someone who is experienced at this and knows what they are doing. Fenn Lane seem to be the to go to guys and they sell the panel too - IIRC it will cost 800 or so if they fit it including cost of panel of around 200 (incl jig). 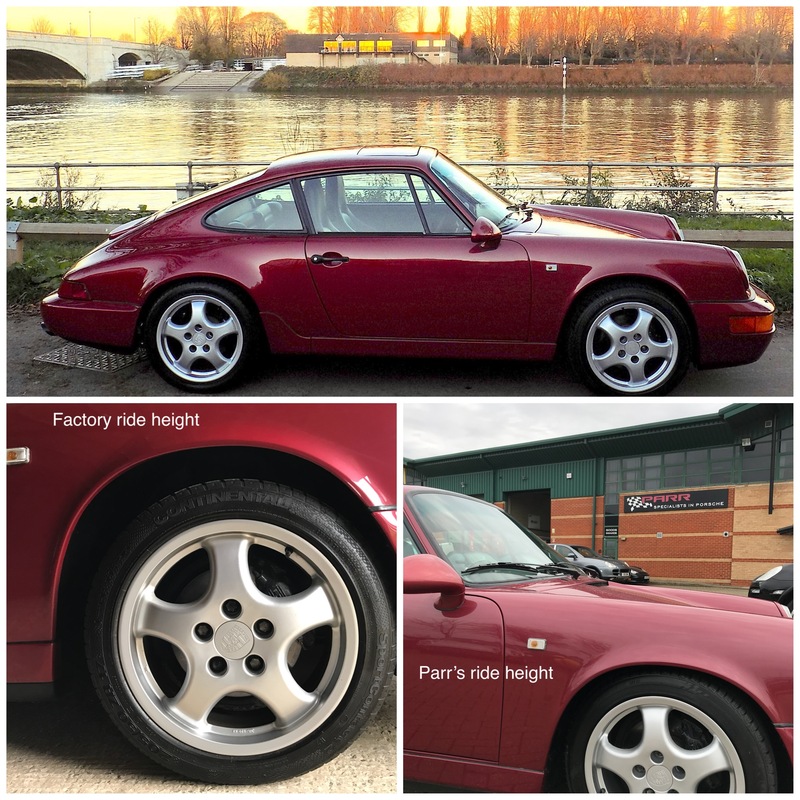 My old 964 had refurbished standard C2 brakes and I was very happy with them, my new 964 came with big blacks on front & RS on rear with standard MC but it wasn't as good when purchased. Found out that from big blacks were fitted upside down so corrected it and installed new rigid pipes, didn't refurb the calipers but gave them a bit of tlc and fitted new pads on rear. Difference was night and day. Never driven a C4 but before spending on caliper upgrade maybe good to give the whole system a bit of TLC and do pay attention to old piping too! I would keep my powder dry for the respray as a 5k quote could easily turn to a 15k job if there is more under those bubbles.